CHARLESTON, S.C. (AP) — South Carolina and California have little in common politically, but the Golden State’s laws are protecting the Palmetto State’s trees. California’s cap and trade program, which took effect in 2013, is the nation’s most expansive regulatory scheme aimed at fighting climate change in part by preserving forests. It requires that state’s biggest carbon emitters, such as power companies, to buy credits to offset the pollution they send into the atmosphere. The atmospheric release of carbon and other insulating greenhouse gases is regarded by the vast majority of the scientific community as the main driver of global air and ocean warming. While the program was predated by other voluntary carbon markets, the California framework “really did jump start the potential for that type of conservation program,” said Hunter Parks, president of Wilmington, N.C.-based Green Assets. Crucial to the program’s success are forests like those found in South Carolina and around the Southeast: forests full of fast-growing, long-living hardwood trees capable of sequestering hundreds of thousands of tons of carbon from the atmosphere. Parks’ firm helps set up carbon credit banks like the one established at Charleston Woodlands, a property next to Middleton Place and part of that plantation’s historical holdings. That protected 3,700 acres of forest and helped Woodlands’ owners to hold onto the land, said part-owner and property manager Holland Duell. “We have always now, for generations, looked at ways that basically we can stay alive financially and take care of the wildlife integrity,” Duell said. 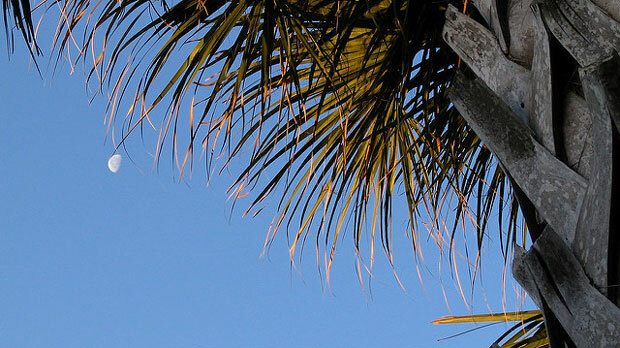 Private land conservation is nothing new in the Palmetto State, particularly in the Lowcountry. It’s a practice that gets bipartisan support and is favored by environmentalists seeking to stem urban growth. A traditional conservation easement offers property owners a one-time tax break. Carbon markets, however, offer an initial payout from credits sold when a forest is first protected, then the option to sell some credits each year as the forest’s trees send out new growth. By creating a revenue stream, carbon sequestration easements assign a value to the many services that forests already provide, said Marizeh Motallebi, a conservation economist in Clemson University’s forestry department. While the California market only considers trees’ carbon-capturing capacities, forests also serve to clean water and shelter wildlife, among other benefits. Audubon was among the first organizations in South Carolina to make a play for California’s carbon market, protecting more than 5,000 acres in the Francis Beidler Forest in 2014. The forest sold its initial 474,000 credits within the first year, at a minimum $8 a credit — a multimillion-dollar sale. Motallebi said that the current price, which is based on keeping 1 metric ton of carbon out of the atmosphere, is roughly $14 per credit. While all forests sequester carbon to some degree, the Southeast’s hardwood swamps are some of the most capable of sucking greenhouse gasses out of the air, said Patricia Layton, a forest geneticist at Clemson who studies how to capture carbon in wood building materials. All plants absorb sunlight, carbon dioxide and water, and they all release oxygen. But the more leaves on a tree and the faster its growth, the more quickly the plant can trap carbon. “Bottomland forests are great growers because the soils are nutritious, and there’s plenty of water and sunlight,” Layton said. To be eligible to sell credits under California’s rules, the forest has to be under threat of cutting and conversion into a different type of landscape. Forest owners also may qualify by pledging to plant more trees or by managing their forest to encourage more carbon capture, often by lengthening the life of the trees there. Still, the certification process is costly and complicated, and a monitor has to be able to assess the property at least once every six years. As a result, carbon banks usually aren’t viable if the property is smaller than 3,000 acres, Motallebi said. Credit revenues also don’t last forever. Charleston Woodlands is looking to new ways to monetize its property, Duell said, including eco-tours and a new Bluegrass Festival at the end of March. The property will still be under protection for years to come. Every time a credit is sold, it starts a century-long clock during which the plants holding that carbon can’t be disturbed. One of the biggest impediments to expanding carbon protections for forests across South Carolina may be that large land owners don’t know about the option or even that there are a limited number of parcels left large enough for the endeavor to work, Motallebi said. Another option is multiple landowners banding together to combine their properties into one carbon bank. Motallebi said she is working on a study of public attitudes towards that idea. Still, without carbon sequestration credits, “there is no market for protecting forests,” said Scot Quaranda, of the nonprofit forest advocacy group Dogwood Alliance. Forest landowners looking for revenue will find few other options, he said. One of them is logging trees for conversion into wood pellets, which are burned as biomass fuel mostly in Europe. Wood-burning has been billed by some countries as a way to reduce emissions, because it often replaces coal. But Quaranda said the essential math behind that idea is skewed: Removing a mature tree from the ground has a far bigger impact on the total carbon equation, because it will take years for another tree to take up as much greenhouse gas. World markets have largely turned to the Southeast to provide that biomass, though legacy industries in South Carolina such as paper production have stemmed its growth in the Palmetto State.